Join us at the Red Poppy Art House on Sunday, September 16th! 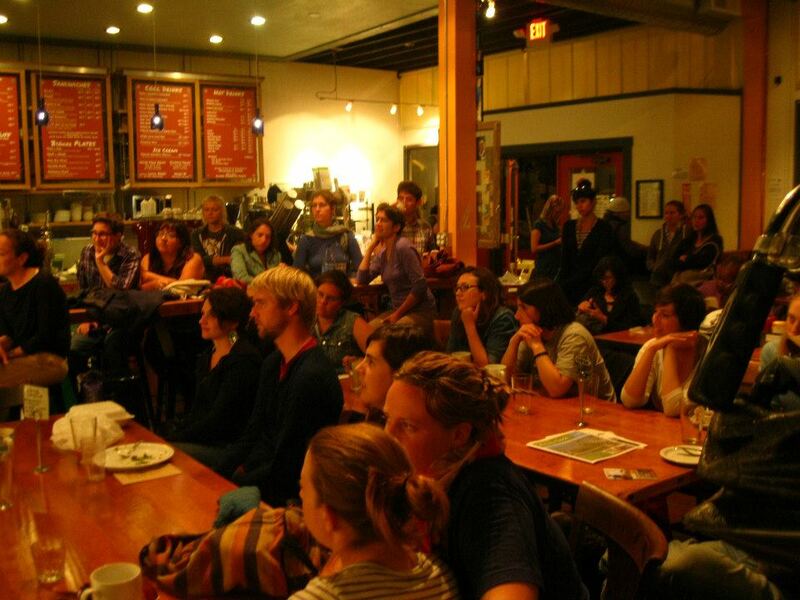 Thank you to all our storytellers and story listeners who joined us for our first East Bay show in Oakland a few weeks ago — we heard some great Lost and Then Found stories at Actual Cafe. For September, we’ll be back in San Francisco at the Red Poppy Art House. For those of you who helped pick our September theme, we hope you’ll follow through and step up to the microphone with a Roommates story to tell. To sweeten the deal, storytellers get free admission and a free drink! Email rebecca.stievater@gmail.com to sign up! Also, mark your calendar for our October show on Sunday, October 28th. This will be a joint venture with the musical stylings of Tor House, a naturalismo folk band from Davis, CA. We’ll be at Viracocha (998 Valencia St. @21st St., San Francisco, CA). Theme to be determined, maybe something Halloween-y. Thank you for your continued interest in and support of Spokespeople! Tags: Red Poppy Art House, san francisco, spokespeople, storytelling. Bookmark the permalink.